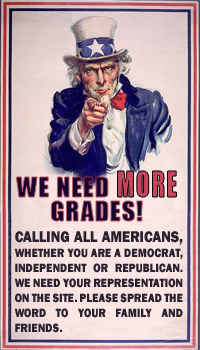 I gave you a grade of F, you crazy leftwing nutcase! If anyone is astroturf and unAmerican, it is you and I can hardly wait to vote against you! We don't need such a spendthrift old Botox queen representing us.